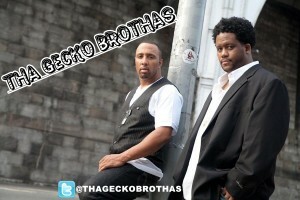 Tha Gecko Brothas, comprised of Harlem, New York, hip-hop artists and producers, John O and Priest. Since the two respectable solo acts joined forces, they have brought pressure on unimpressive rappers of the underground Hip-Hop scene. With already three releases in their collective catalog, John O gives AMPS Dallas exclusive behind the scenes info about his and Priest’ background/story of how they met, his opinion of current Hip-Hop music, the inspiration behind their new single, “La La La” and upcoming album, We Are Tha Gecko Brothas,” and also details about why the pursuit of an acting career. Amps- Where are you originally from? John O. – We were born and raised in Harlem, New York City; both of us are from 143rd Street in Harlem. Amps- Are you guys blood brothers? John O – No, we are not blood brothers, but we are brothers. Amps- How old were you when you got started and how old were you when you decided that this was your passion and you want to make a career as an artist? John O- Well, I’ll answer this in two ways: When I first got started into love and Hip-Hop, I was about nine or ten years old. When I first heard the Sugar Hill Gang I knew right then I loved Hip-Hop, it wasn’t until later that LL Cool J and Run DMC came out that I knew that this was something that I wanted to do. 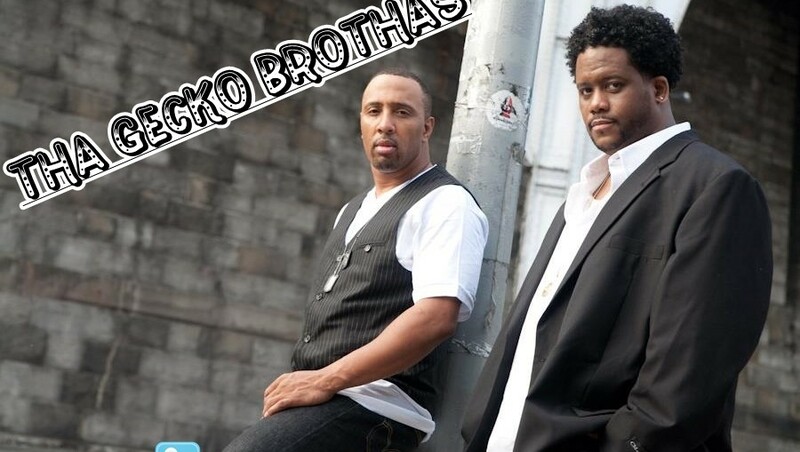 Now as far as the group, we got together about ten years ago and we decided to become Gecko Brothas I was a solo act and Pries was in a group called Buffalo Soldiers. We both had been signed to major labels; he was on Lupe records and I was on Murray records, in 1991, we both got our deals and we were doing our things. Later on after we left the labels, Priest was doing his music and I was doing my music and acting, and I went to him and I said, “Hey brotha, I want to do this mixtape. Why don’t you do me a favor and do some of the beats for it?” He said, “Okay.” We got together and we did those things, and he got on a couple of tracks on my solo project and they were received pretty well. We liked the chemistry between the two of us, so when a deal fell through between him and his cousin to do an album, he called me and we got back together and he said, “Hey, let’s do this ‘Gecko Brothas’ thing,” and that was the birth of ‘Tha Gecko Brothas’. We continue to take it to another level every time we do something. Amps- How did you guys come up with the name Tha Gecko Brothas? John O- The movie From DusK Till Dawn starring Quentin Tarantino and George Clooney. In that movie they were called the Gecko Brothers. They were two dangerous killers who kicked up dust all over town, we adapt to that because we feel we are dangerous MC’S. We took their name and changed the spelling of it. Amps- Can you tell our readers a lil bit about your childhood? What type of environment were you around? John O- We both were brought up in the hood. We’re both from Harlem, New York. At the time of growing up back in the seventies and eighties, you had a lot of drugs, shooting and killing, but I know our communities always looked out for us. The older gentlemen, straight basic kids or friends of our parents always looked out for us and they saw that we didn’t go on the wrong path, so if I had to sum it up: I would say that the community that I was brought up in was with a lot of love even though it was a lot of danger. Where we were at it was love for us, so that made us continue on to do what we wanted to do when it came time to do this music. Amps- Can you tell us about your new single that you have out called “La La La”? John O- “La La La” is the new single that’s out which you can purchase on ITunes. It’s a feel good song Priest would describe it as being something for the ladies and I guest it could be taken that way, but it’s a feel good song, it’s a song that makes you think of a great time of Hip-Hop. Shout out to A Tribe Called Quest because the vibe and the vain of the song is very A Tribe Called Quest. You know today a lot of times with Hip-Hop everybody’s doing the same thing and a lot of the guys that are doing the same thing are not living that life, we don’t rap about stuff that we don’t live and we don’t run around talking about bottles and being in the club. We want to bring Hip-Hop back to a time where it was fun, where it was good, where it was great beats, and progressive hooks, where people enjoyed the music and that’s what “La La La” is. It’s a song that makes you love Hip-Hop again. Amps- What do you want people to get out of your music? John O- Well, we want them to have a good time. At the core of what we do, there is so much negative stuff going on around the world, the last thing you need is to turn on your music and hear that too. Now listen we are realest and we know that that kind of stuff goes on in the world and we rap about real stuff, but if I have to say this for both of us, we want people walking away feeling good about our music and we enjoy what we do and that’s what we want people to take from our music. Amps- So John, I see you act as well. Tell our readers how you got into that? John O- Well, I went to the original school of performing arts that was originally in Harlem and acting is something that I’ve always wanted to do as a kid growing up. I had always seen people on television that inspired me and did things that I wanted to do. Sammy Davis Jr. Eddie Murphy, Richard Pryor, Bill Cosby, and Denzel Washington, I grew up watching all those cats on television. I enjoyed watching what they did and the feeling that they made me feel by watching them, and I wanted to share that feeling with some other people, so that’s what inspired me to get into it. Eddie Murphy, I’d say he was probably the biggest catalyst in me wanting to become an actor. Amps- What is your first passion, what do you love doing more than anything else? John O- My first passion was entertainment. I love music because music helps me express myself the way that I want to be expressed, I love acting because it helps me reach a wide range of people, it lets me play people that I wouldn’t play in everyday life, so my passion is for entertainment and music. Amps- Is there any specific age group that you guys are trying to reach? John O – That would be pigeon holding out, to us we reach who we want to reach those people who like pure organic boom bap New York Hip-Hop, that blue collar real Hip-Hop who likes beats and rhymes, that’s who we are trying to reach, I can’t say we want to target them between eighteen and twenty-five because that would be cutting off my fan base from nineteen to thirty. We are trying to reach anybody who loves what we do. Amps- What advice would you give anyone who’s trying to get into this industry? John O- First and for most, you have to believe in yourself, never let anyone tell you that you can’t do what you want to do. What’s meant for you is meant for you, no one can persuade you or tell you that you shouldn’t do that do, what you feel in your heart, stay true to yourself and that way you will come out a winner. Amps- How can your fans follow you to see what you are doing? Amps- Is there anything else that you would like your fans to know? John O- Yes, be sure to go out and buy our new single,” La La La” and keep a look out for that new album which is called, We Are Tha Geako Brothas. We also have three other albums that are prior to this one be sure you go download those at www.priestforever.net We love everybody that loves real Hip-Hop and real music.